Celebrating more than 4 Billion mobile devices in the world cannot let us stay still in our views of the mobile Internet. It has dramatically changed the consumer behavior but is also making its way in the enterprise. It has many consequences for us marketers, application developers and executives in charge or impacting enterprise information system. Material wealth creation / destruction should surpass earlier computing cycles. The mobile Internet cycle, the 5th cycle in 50 years, is just starting. “General Motors is looking to a new iPhone application to change how and even where people sell cars. A national chain of rehabilitation facilities sees smartphones combining with cloud computing to improve patient care and employee productivity. A heart hospital is using BlackBerrys for nothing less than real-time alerts of patient distress, including images of bedside monitors. And around Los Angeles County, law enforcement officers are using BlackBerrys for such tasks as taking and searching fingerprints.” in a very interesting recent article. Get Ready, include mobility in your plans. 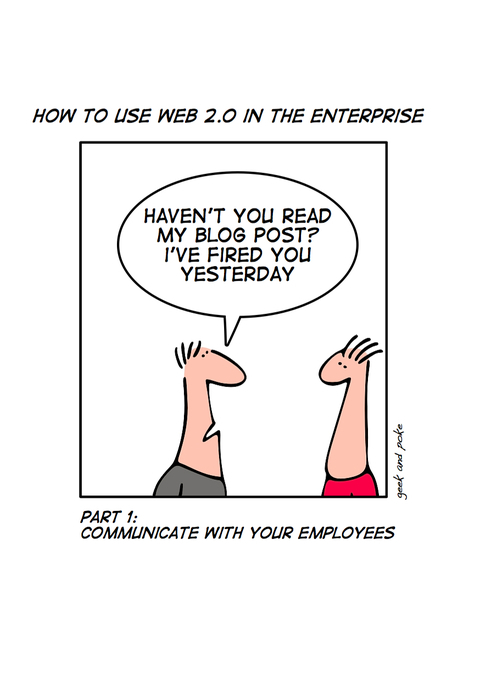 What are the key forces driving to Enterprise 2.0 transformation? This nice cocktail augmented with a solid number of “ Y Generation ” employees — born between 1982 and 1994 – having grown with the natural use of SMS, instant messaging and social networking on the Web and which will be enterprise leaders in the next ten years – prepares the company with its change towards Enterprise 2.0 (first defined by Andy McAfee) characterized by the use of the Web 2.0 collaborative applications within the enterprise to harness collective intelligence. I launched MS Word today, it’s 24 years old! Don’t you have enough? Don’t you think time has come for a new software paradigm. Do you like Word? What do you do in e-mail then? This industry has come to a conclusion that software could very well migrate to it’s editor servers. It started with hosting, then ASP, and now SaaS (also called on demand applications) is coming around. Conventional wisdom has coined it at the same thing but it’s not. But an ASP delivers your monolithic application at distance, that’s all it does. Those who believe ASP and SaaS are the same thing have just missed the Web 2.0 paradigm shift where the web has become an application platform. 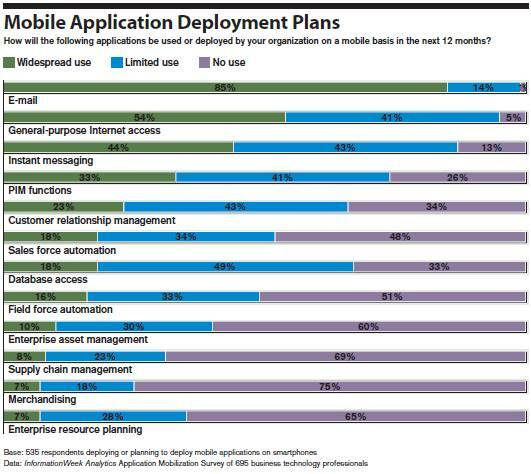 In fact “application” is not a proper term, where as “application services” better describes what is happening. You probably know Facebook by now. If you don’t go ahead and build your friend community there. As I recently stated, one of the major success factor of facebook lies in its application platform strategy. 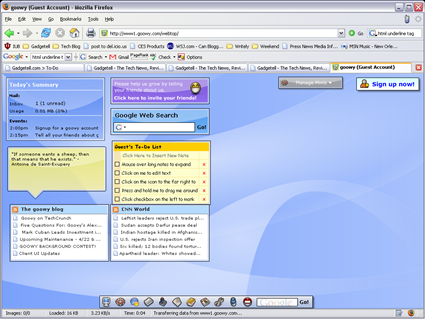 The beauty of it is that users are defining a unique user interface to THEIR facebook by adding application to their home page. Customization, as we know it, is king. Gone the days when software vendors would define frozen user interfaces e.g. MS Word. But this new way of combining small applications, or widgets, into a dedicated user customized portal has reached the enterprise. Yes! Enterprise mashups are coming up. Do you know Longjump? You don’t, then just go there for a test drive. It speaks for itself far better than a long post of mine. This is the destination: mixable enterprise widgets or applets on tap. You pay as you drink it. Software is a service, isn’t it? Bye bye MS Word and all the monolithic applications, whether on your PC, your servers or with your ASP. Time has come for SaaS to thrive. Intelligence seems to take place on the network these days. What about this amazing breaking news of HP acquiring Neoware for $16.25 per share i.e. $214 million announced today. Check out the news. It strikes me as HP is the leading vendor in PCs and yet they place their bet on a thin client, but a Linux one, as they want to take advantage of virtualization technology. But pay attention to this: Neoware is the third-largest thin client vendor, after Wyse and HP. Wow, if this is not a big bet on the webtop, I should just change job and move to the pharmaceutical industry. Who still needs a PC? Learn more about thin client computing, virtualization on wikipedia and listen to this podcast about state of virtualization on eweek. 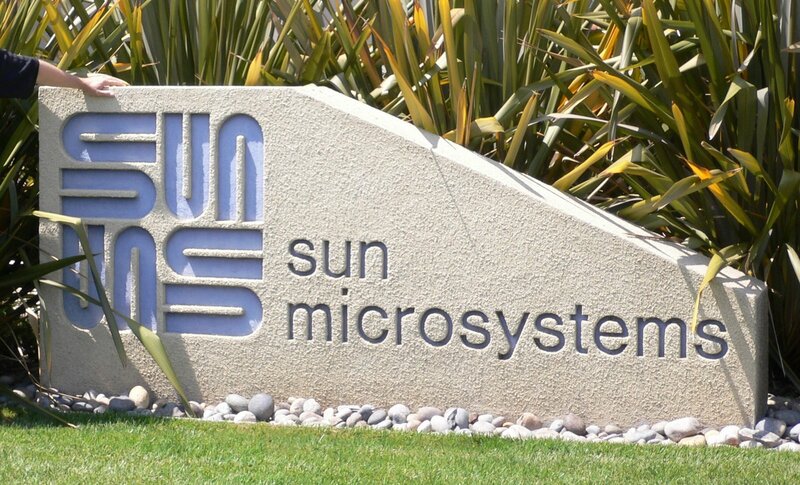 31 January was my last day at Sun Microsystems Inc. After a passionate and exciting 4 years journey I’m now headed to new ventures. As many Sun alumni, I miss the people more than anything else. What stroke me when I joined back in 2003 was the Sun’s bold approach to IT. “The network is the computer” tag line was not just a marketing gimmick, but a genuine belief aimed at changing the way the world would see and appropriate computing forever. The Internet bubble left Sun in a bad shape with a 50% revenue decrease at that time, but the dot com spirit was still there because it was more than just a business opportunity, it was a raison d’etre. This way of living digital got in my face when I first joined an internal meeting. I saw executives just sliding their employee badge in a Sun Ray, a thin client device, retrieving instantly their environment and the slides they were about to present though miles away from their usual office. Where is their laptop was I thinking to myself? What a strange crowd! Network Computing was a reality and it works great fellow marketers. I experienced many times Scott McNeally‘s ability, Sun’s CEO at that time, to make unconventional assertion without shaking and against everyone else opinion — that he used to call “conventional wisdom” with despise. What is amazing is that he was very often right. Scott demonstrated a true inspiring leadership during tough years at Sun. Innovation, humor, and resilience were his attributes. He was easy to access to when present on Sun’s campus. Simply human but so smart. Jonathan Schwartz took over in May 2006. A very bright executive, very passionate. As Sun is achieving its turnaround, Jonathan will have to face a tremendous challenge. He’s more than up to it, he can succeed glamorously. Just one recommendation Jonathan, if I may. Don’t loose sight of Sun’s human capital. I did witness several talented people leaving Sun despite their willingness to stay. It is sad and sends the wrong message. Sun used to be a very good company to work for and attracted the brightest contributors. Good luck to you and good luck to Sun and my ex-colleagues. As a matter of fact, I get back my freedom of speech and I’m now able to comment on Sun’s strategy independently. I’ll use that. This also set me free to engage with you if you need some help in your projects. Marketing 2.0 can be on your side.